After a very satisfying full English breakfast, Elyx goes underground to take the tube like millions of Londoners. Taking the #London tube during rush hour is quite a human experience. Elyx instantly feels the energy of London. 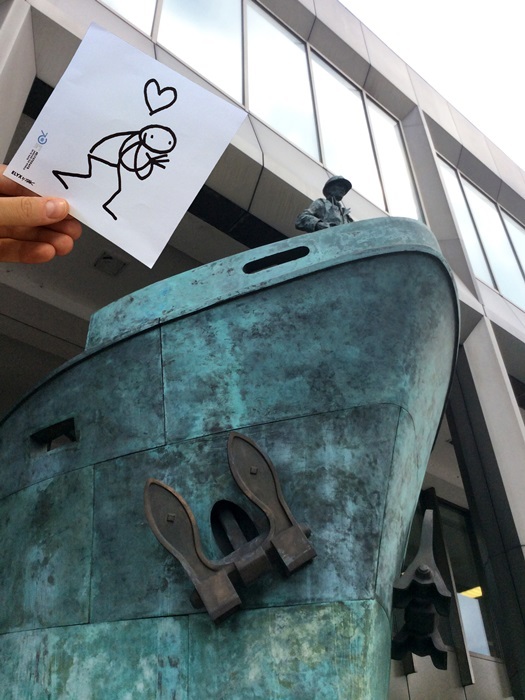 A few of our colleagues are present in London, such as UNHCR and the International Maritime Organization (IMO) headquarters. 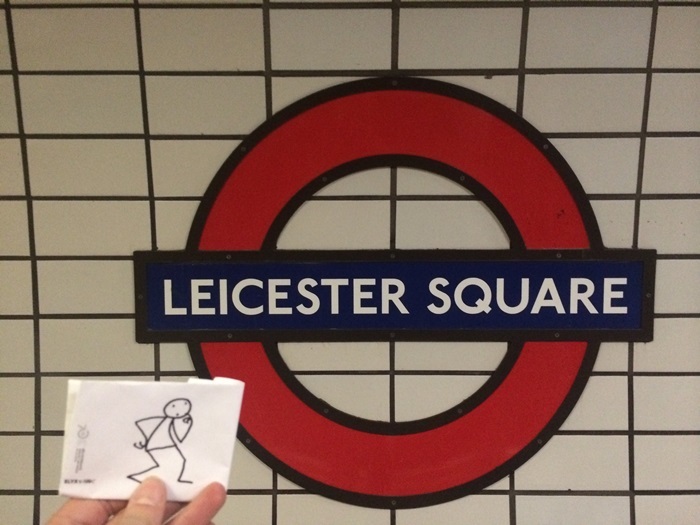 Elyx takes the tube from elegant Leicester Square to the other side of the Thames to visit the IMO headquarters, a UN family agency ensuring that everyone can rely on safe, secure and environmentally friendly shipping. Elyx is well aware of the historical significance of the next stop, Central Hall Westminster, which hosted the first meeting of the United Nations General Assembly in 1946. But Elyx didn’t know that in return for the use of the hall, the UN General Assembly voted to fund the repainting of the walls of the church in a light blue – the paint that is still on the walls. 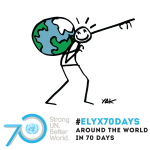 On Tuesday, to celebrate our organisation’s 70th anniversary #UN70, a very special exhibition opened in Central Hall Westminster called UNEARTH. Some of the rarely seen treasures of photographs, campaign posters and film on display have been created by iconic artists such as Victor Vasarely, Robert Rauschenberg, Joan Miró, Jean-Micheal Folon, Hans Erni, Marc Chagall and Keith Haring. 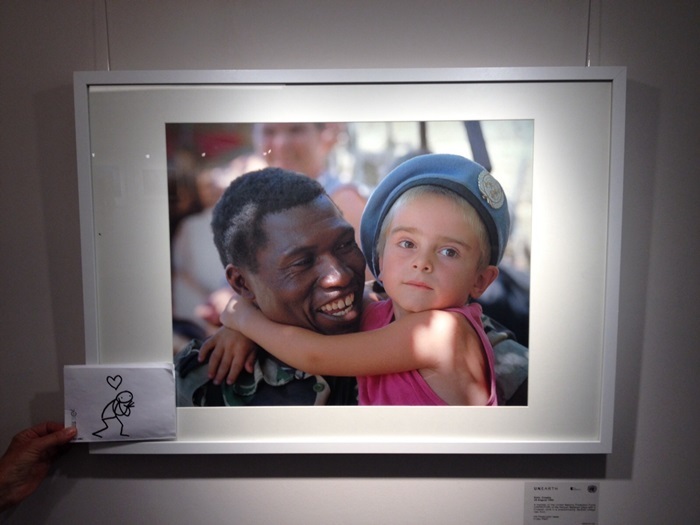 The exhibition is open to the general public from 13th October until 11th December. It is time for the digital ambassador to revel in some of the incredible world famous London landmarks. 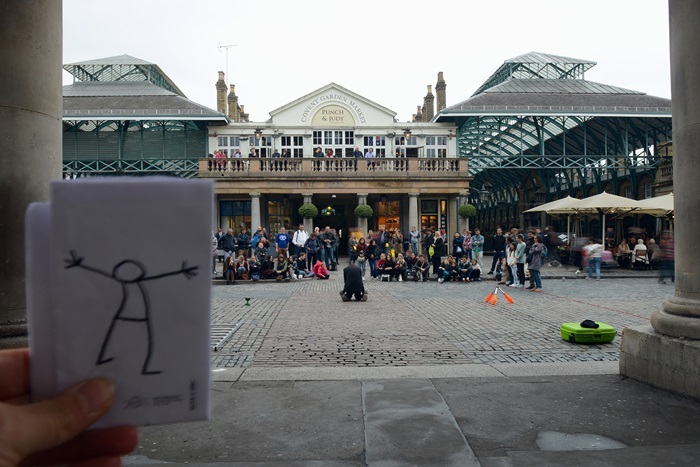 Elyx begins in Covent Garden, which attracts millions of people each year, to watch a talented street performance artist. 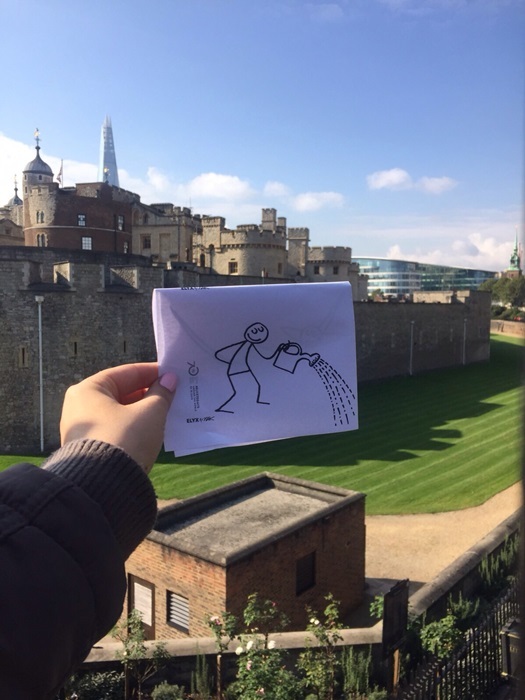 As a highlight to the end of a day filled with overwhelming new impressions, Elyx visits the well-known Tower Bridge, as it has become a symbol of the City of London. Elyx learns that the bridge has been painted in several colors since it was first opened in 1894. 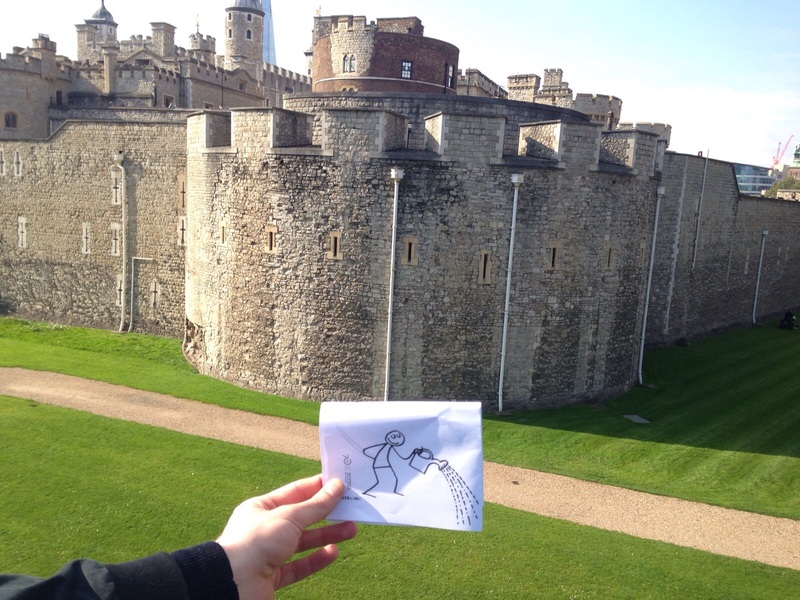 A few steps down the road, Elyx is in front of the Tower of London, a very old castle on the river Thames home to the Crown Jewels of England. Elyx is exhausted after a fun day in busy, vibrant London and is looking forward to seeing some of the other beautiful sites the UK has to offer.